Facebook has certainly gained grounds on virtually every aspect of human social life. Running an online company/business just got easy with the Facebook job posting. You can create job post, interview, assess the applicant online. Startup and established companies see Facebook as the wave for the future. As such it is wise to leverage on the facebook page to run the business. Facebook recently introduced Jobs on Facebook is one amongst many other business administration tools available through the facebook page. So how does Facebook Job Posting actually work? Click to write a post… at the top, click Job. Add Additional Questions if want applicants to meet certain requirements. To receive facebook job posting notifications by email, scroll down and then enter the email address in Receive applications by email. In the column on the right, click Desktop News Feed or Mobile News Feed to see what your job post looks like on desktop computers or mobile devices. Finally, Click Publish Job Post. Job posts should follow the Page Policies.To see job applications submitted, click Manage Jobs on the top menu of the Page or check your email depending on your settings. Facebook job posting expires after 30 days. After 30 days, Page visitors won’t see the job post on your Page. However, Page admins, editors and jobs managers can renew facebook job post and renew when they log in. Facebook admins can schedule an interview, contact clients, reject chat with client applications, contacting applicants and scheduling interviews. 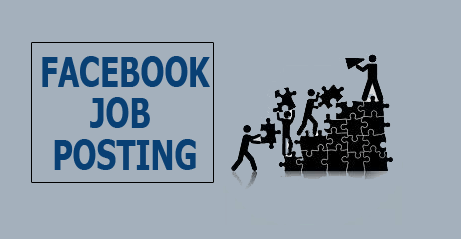 You can also boost your Facebook job postings to reach more and set job ad to reach based on location, employment status and more. Click on Jobs in the left column of your Facebook Page. Locate the post you intend to edit and click. Click Edit Job Post to submit your changes. Then, Click Close Job Post or Renew Job Post. Once it is closed, Page visitors will not see the facebook job post on your Page, but Page admins, editors and jobs managers will still see the job post and renew it. Although job post expires after. You can delete them sooner. Locate the post you intend to delete and then click to Select Delete from Page.